When planning a trip to Spain, you need to consider a few things beyond exploring the popular, tourist destinations.There are a few small essential Spanish parts of life to experience, in order to get that true feeling for the culture. So before you book a Spain holidaybe sure to add these things to your travel bucket. 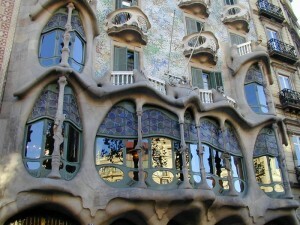 Explore the architecture designs of Antoni Gaudi. His architecture is famous and unique all across the world. It’s completely different from any structural design than any architecture has ever built before. His design is described as expressive, part modernisme, part Gothic, and original. It has defined the city of Barcelona and has created an image of nature and religion in each Catalan soul. One of the most, worth well day trips to do in Spain is to visit the village of Segovia. It’s only a quick trip from Madrid. Segovia has two main historical sites to explore, first being the aqueduct, which is a thousand years old and still in pristine condition. 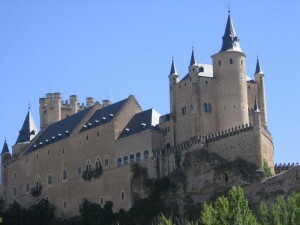 The second is the Disney’ Sleeping Beauty, usually known as the fairytale castle of Alcazar. It has the feeling of a fairytale castle look. 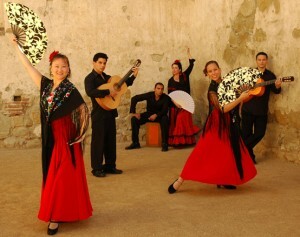 A must see is the traditional folk music dance, the Flamenco. It’s one of the only still unique types of music that still exists today, which is very popular among the locals and tourists. It’s usually found around gypsy weddings, spontaneous bars, or even to the extreme in Spain’s prisons. But to really experience this traditional dance, visit a local bar and you will be sure to catch a glimpse of it. 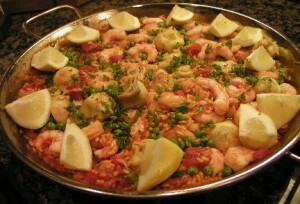 A dish that you need to try is called Paella. It’s a famous Valencian dish, that consists of rice, vegetables, meat (chicken, duck or rabbit), or seafood, snails, and beans. It’s very popular among the locals, and frankly not trying this dish is missing a big part of the Spanish culture. A new movie that recently came out called “The Way” is about the Camino de Santiago. A wonderful story about a father who completes the journey of the Camino de Santiago, in memory of his son. 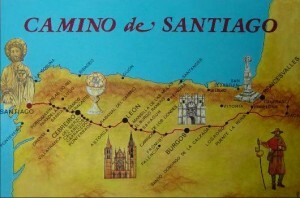 (Must see movie) The Camino de Santiago is an ancient pilgrimage to the tomb of St. James in the Santiago Cathedral. Many people walk this road across northern Spain every year. It’s a lifetime honor to achieve the certificate of this journey. Experiencing a real Bullfight! Not as popular has it once was, due to animal activists but it is a part of the Spanish culture today. It’s a part of the history of Spain and maybe evening see a bullring is a better choice too. 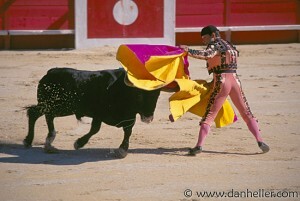 But stepping into history and seeing a bullfight or ring is a must when visiting Spain. IT’S ALL BOOKED!…. part one.